American singer (born Nov. 9, 1936, Louisville, Kentucky - † Sept. 16, 2009, Danbury, CT), also very famous as the female voice of the trio Peter, Paul & Mary, founded in the Sixties with Peter Yarrow and Noel Paul Stookey. 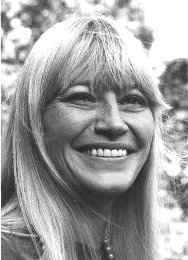 From 1970 to 1978, specialized in the folk music repertoire, played her solo career, also working with Kingston Trio and country singer John Denver. Mary died from leukaemia in 2009, aged 72.